Hypothalmapath is a homeopathic combination formula for symptoms related to the endocrine and nervous systems. Communication between these two vital systems is accomplished by the hypothalamus via the pituitary gland. 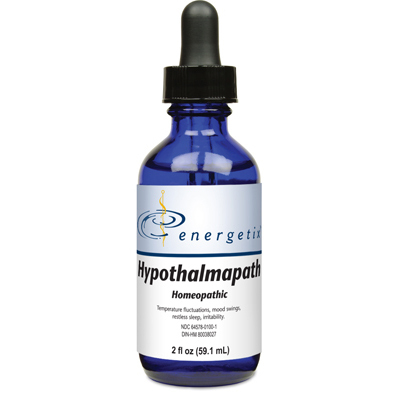 Hypothalmapath has proven to be one of the most versatile and foundational products in the Energetix line, this stands to reason given the scope and overarching function of the hypothalamus gland. For symptoms such as disrupted sleep, disrupted appetite, temperature fluctuations, mood swings, irritability, menstrual irregularities, trembling, and numbness of limbs.